Our Portfolio - Internet Marketing that Works! 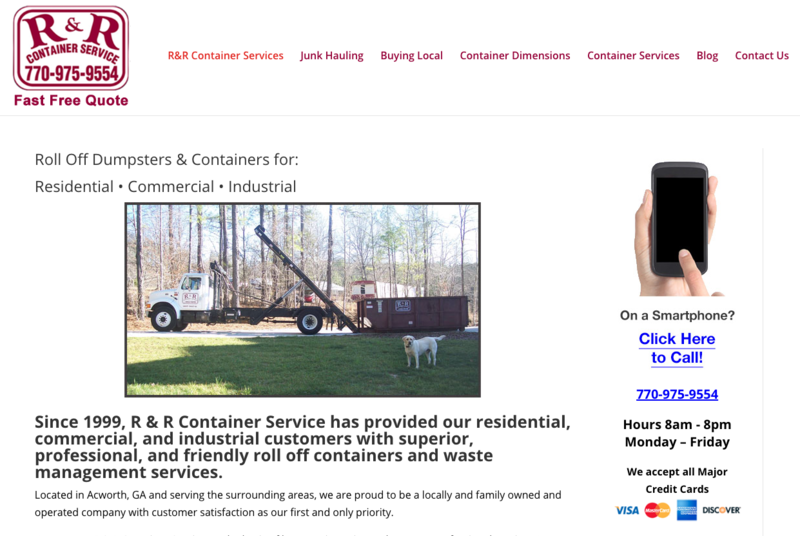 Each of the graphics below is linked to the clients website. Click on them to visit the live websites. From legal and medical professionals, to what we refer to as a ‘Business card’ website, or full blown E-commerce sites, we do it all. Even our simplest, least expensive designs use the data driven approach. Since there is no better testimony to our effectiveness as a marketing partner for your company, feel free to contact any of our clients and talk with them about our services. We suggest you use email and be patient, they are very busy! 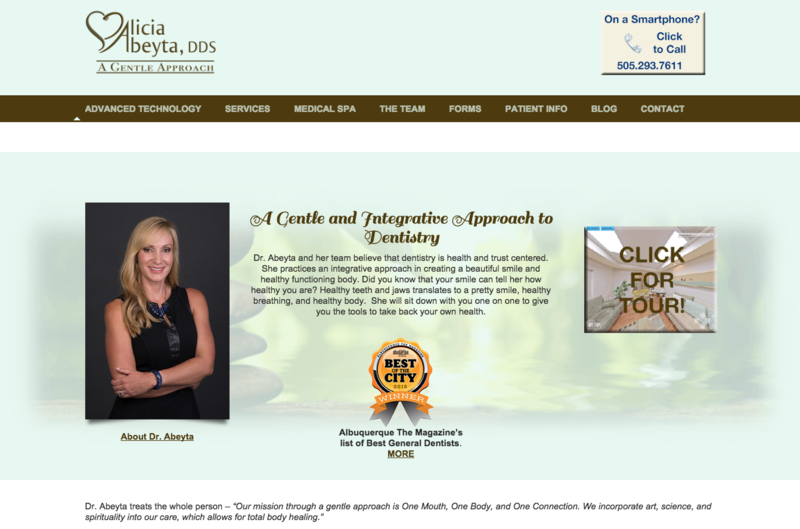 Dr. Abeyta has been with us since the day she began her private practice, back in 2008. Her success is a great example of how teamwork with a marketing agency like SLW Consulting can demystify internet marketing. 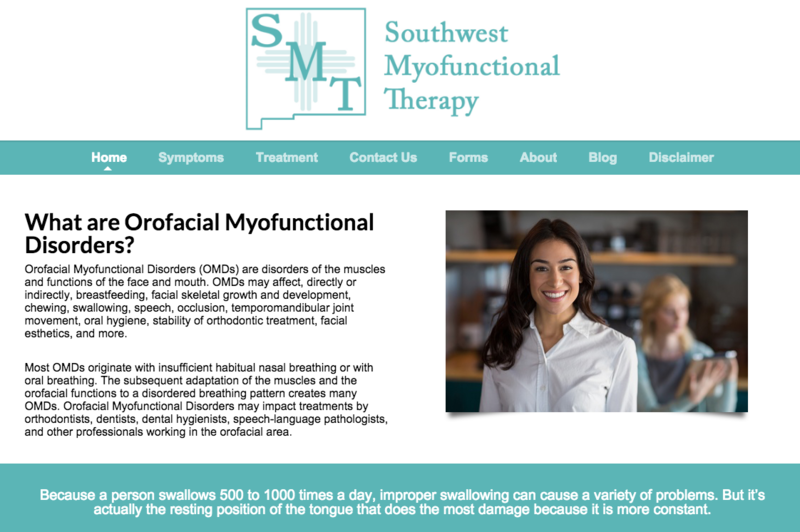 In addition to creating a beautiful website for her, we also handle her Google Adwords & Analytics, assist with her Facebook presence, and even federal compliance issue such as HIPAA. In keeping with our mantra of a data driven approach, we are currently split testing a page on her site for visitor behavior and goal conversions. Sandraluz came to us very recently. She has been working with Dr. Abeyta as a dental hygienist while going through an extensive training program as a myofunctional therapist. She has recently made the into the myofunctional health area and is leaving her role as hygienist. While career changes are always a source of anxiety, we are here to assist her in every way possible. We have no doubts she will excel in her new path. Both of the attorneys below came to us after using the services of very expensive ‘specialists’ who had them locked into long term contracts. They paid large fees for poor results. We never use contracts because we don’t want unhappy clients. We deliver results, not BS! 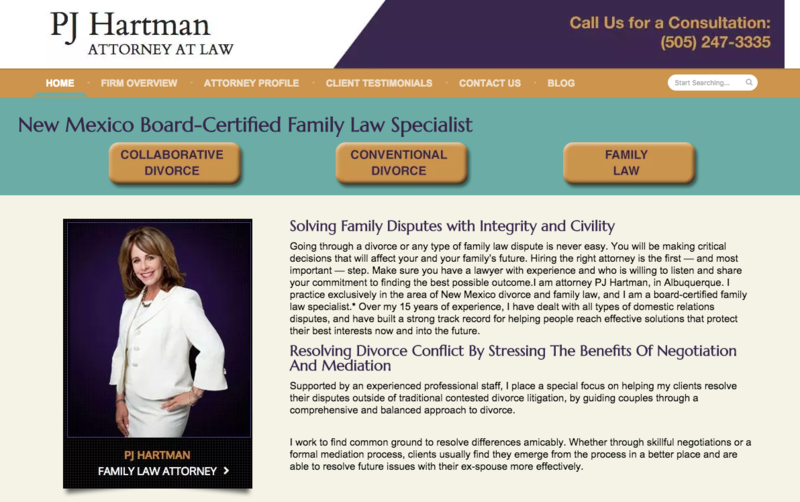 PJ specializes in collaborative divorce, and tries to bring compassion to a painful life event for people. She’s been with us a few years now and is glad to be out of her high priced, non-performing, web agency management firm. 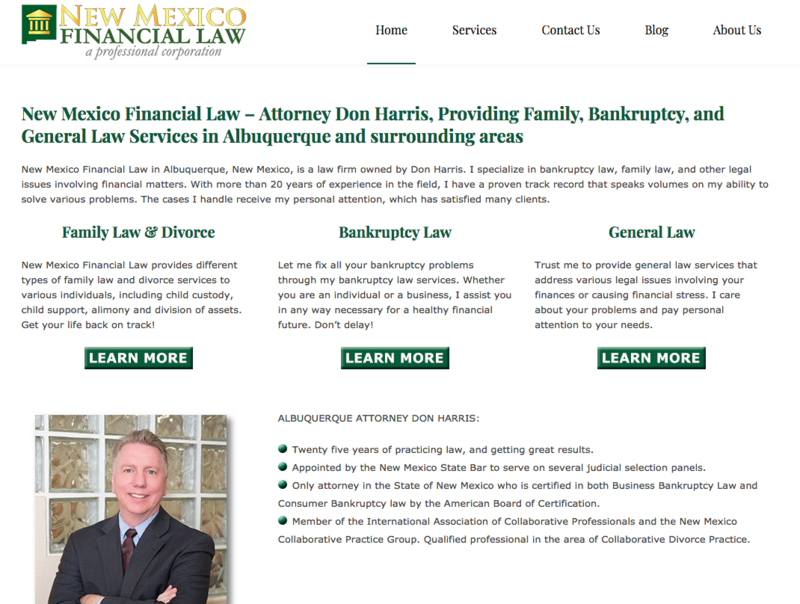 Alexander D’Von Boggs and his partner, Jose Martin Garcia were referred to us by a long time client – that’s how we get most of our business. 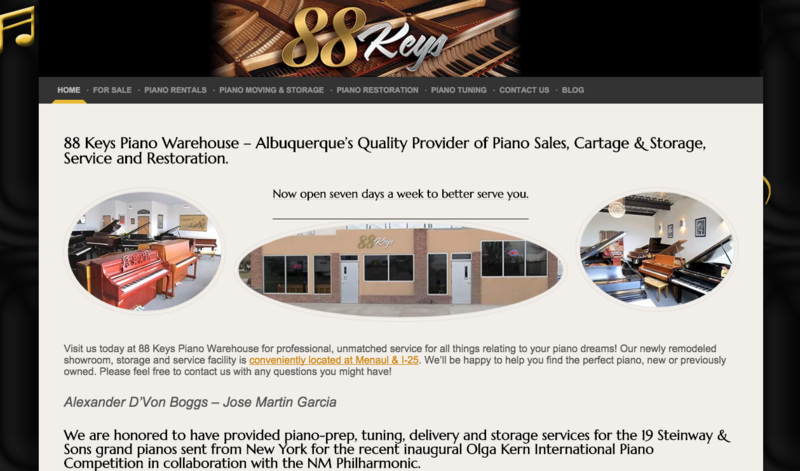 Their dream was to own the piano sales, service & restoration market in Albuquerque. When I recently checked the Google Analytics account I saw they were up to nearly 900 visits per month with great behavior data. This is without any paid traffic, just good SEO and stroking the Google beast correctly. It seems they are on the way to achieving their goals. 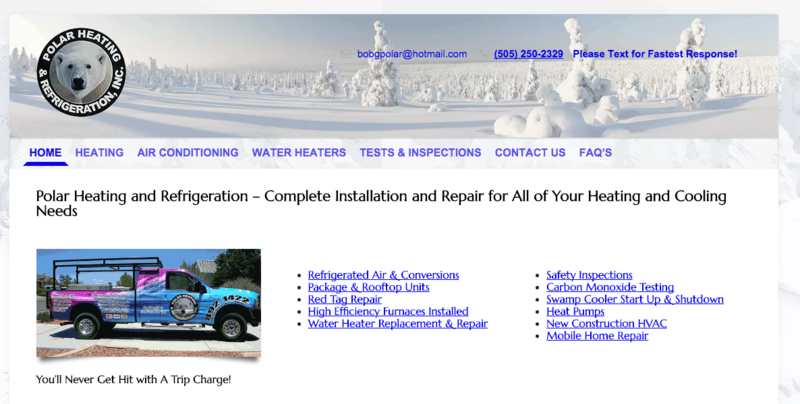 Bob George was referred to us in the fall of 2015. You could say he was skeptical. He had just paid a lot for a website that did nothing for his business and was suing the folks who built it. They were graphic artists, a very bad idea generally. He longed for the old days when all he needed was a Yellow Pages ad, remember those? In early 2017 he told us 2016 was his best year ever, in over 41 years in the business! He recently doubled his monthly budget to include more blogging, a very important aspect of good website health. 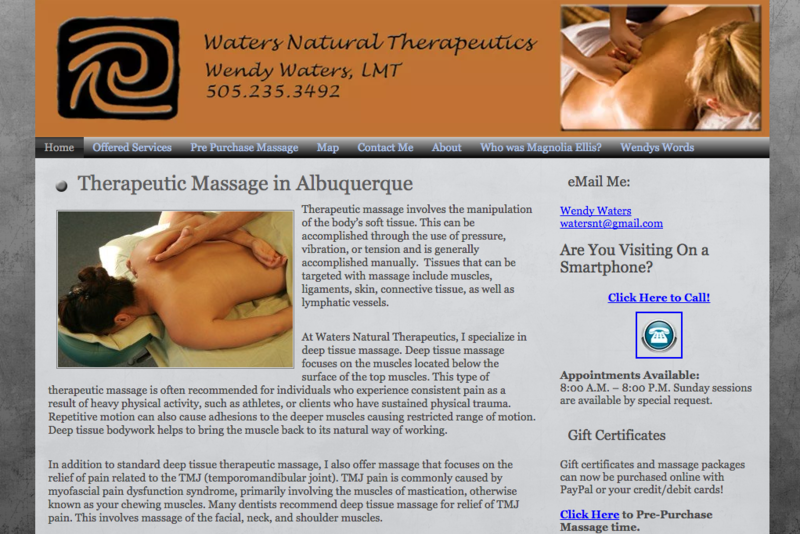 https://www.albuquerquetherapeuticmassage.com/I first met Dana on a professional level to learn more about her nutritional counseling about two and a half years ago. 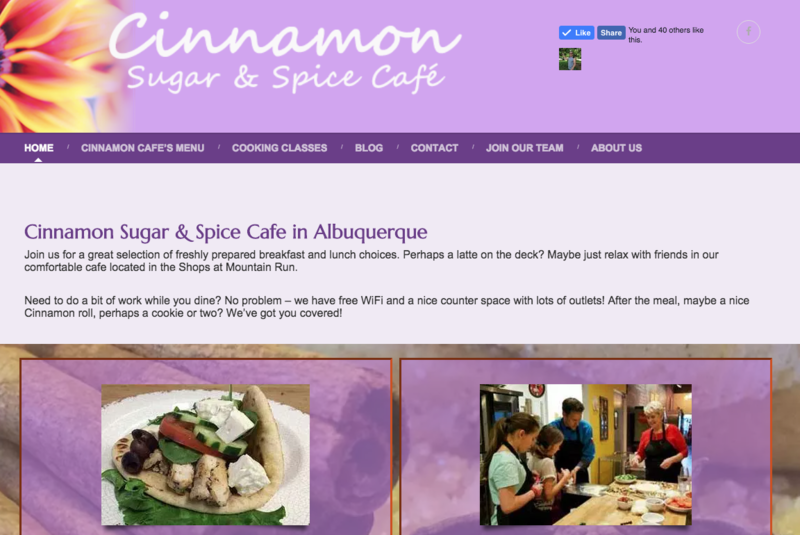 She quickly confided she needed help with her website. It had been built by a friend and was a mess. Since I love good deep tissue massage we worked out a little arrangement for services. Dana is a single mom who raised two wonderful daughters. A few months ago she paid me the ultimate compliment. She said Steve, if it were not for your skills I don’t see how I could ever have succeeded with my business, there’s no way I could have afforded marketing. These days she’s fully booked! Wendy’s website was built many years ago and hasn’t had much attention lately, but she still gets frequent fresh leads due to good on page SEO. Like Dana above, she is pretty much fully booked. Wendy’s great grandmother was a healer in T or C, NM, visited by people from all over the world. Her story is on her website. She’s keeping her grandmother’s spirit alive! Norma & Brian Lanham have been with us for many years. There business is highly seasonal so we have to hit it hard during the summer months while their market is hot. Our combination of on page SEO, adwords and regular blogging gets it done for them. UMSCO, Inc is what we’d call a business card website. Basically, we built it, SEO’d of course, and left it. 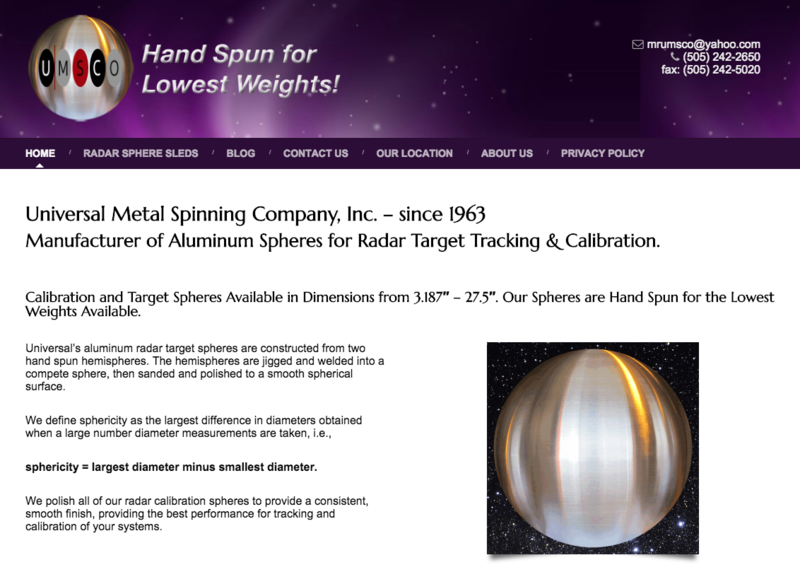 They are in a very small, specialized niche and were skeptical a website would do anything for them. I explained that while there wasn’t a lot of market out there, there also was minimal competition. The company was near failure when I suggested a website. The owner buys me a beer whenever he sees me these days. Alltech Radiation Services is another small, niche market service provider. 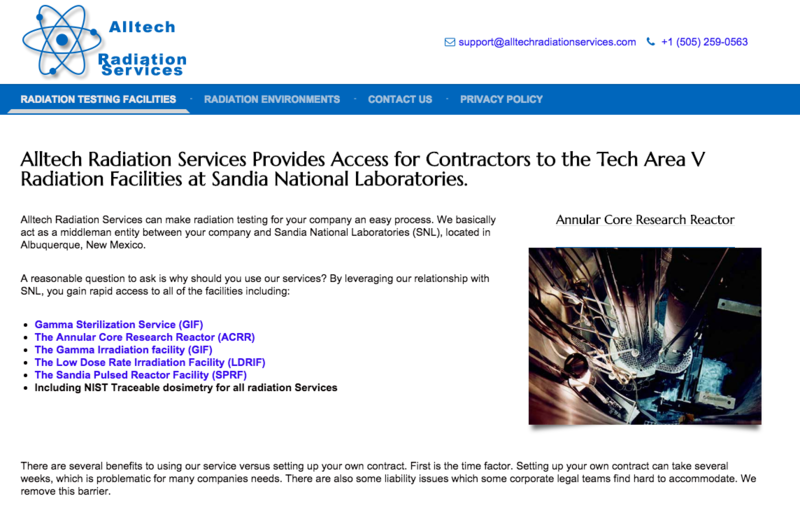 The company provides access to the radiation facilities in TA-V of Sandia National Laboratories in Albuquerque, NM. The recent acquisition of a client in need of gamma sterilization for medical wound dressings has led to the need for an Ecommerce site to sell the product retail. We are at work designing the site now. 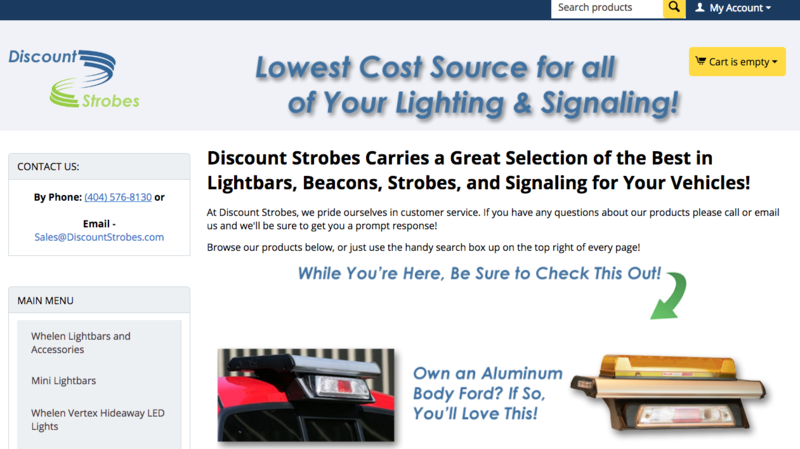 Discount Strobes is an example of an Ecommerce site built on the open source system called CS cart, and hosted on our servers. It doesn’t have all the bells and whistles of an expensive system like Bigcommerce, but represents an economical entry point for start up companies. WooCommerce is another example of this, which installs on the WordPress framework. 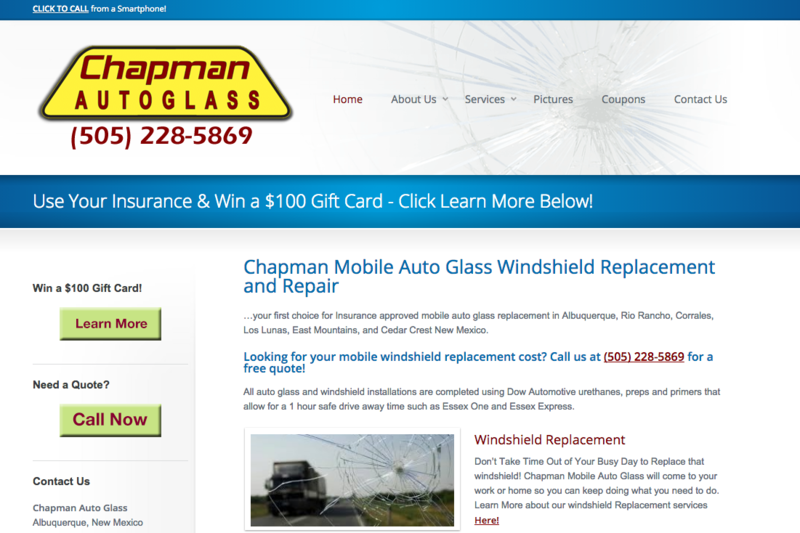 Brian Chapman has been with us for a couple of years now. He’s another of our clients who relies on organic traffic only, nothing paid. While analyzing his analytics recently we noticed a missed opportunity for a search phrase he was ranking poorly for but which had great traffic. He’s asked us to try and juice his search rankings with some blogging. Will do! Cinnamon’s is my favorite spot for breakfast, I go there at least 4 times a week! We have several other clients, but you get the idea. We build websites that work. If you’re tired of the expensive song and dance you get form nearly all other web agencies, it’s time you worked with knowledgeable people who deliver ROI for your marketing $’s.